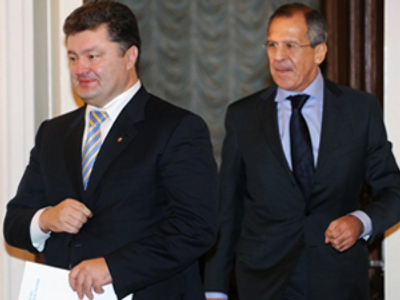 Last week masked armed men from the Ukrainian security service became the focus of the country’s political life. Many say they are used as a tool in the power struggle between the president and prime minister. The Special Forces (also known as the SBU) raided the headquarters of state gas company Naftogaz. They said they were looking for documents relating to the alleged theft of 11 billion cubic meters of gas. 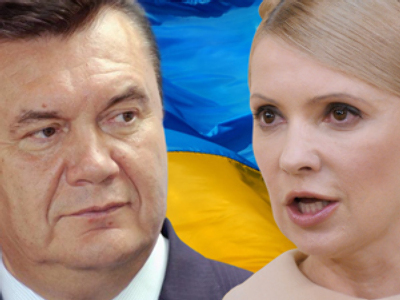 Many experts believe this not a raid for paper, but instead for one for power between President Viktor Yushchenko and Prime Minister Yulia Timoshenko. The president controls the security services, while the prime minister controls the gas giant the president’s Special Forces raided. The SBU say they’ll come a-knocking again – next time on the government’s offices. 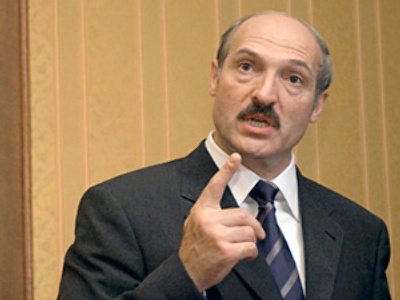 “Several important documents are held in Vice Prime Minister Turchinov's office. We sent a request, but have received no reply. We're warning that alpha troops can pay a visit to the Cabinet building,” warned Valery Khoroshkovsky, deputy head of the SBU. Never before in modern history has the government headquarters in Kiev been stormed by armed men. In fact the last time something like that happened was more than 60 years ago – during the Nazi era. The Cabinet building in Kiev was designed like a fortress. During World War II, when Nazi troops occupied the Ukrainian capital, it took the Germans a lot of effort to seize the building. However, this time around should Special Forces attempt a raid; its defences would be much easier to break. The former security officer Skipalskiy believes that if there’s a raid on the Cabinet building, there will simply be no resistance. “A body which provides security for the Cabinet is controlled by the president. Just like the assault forces. So in this case they will simply walk in and get what they want,” he said. A raid won’t surprise anyone in Ukraine – and is likely to be the next escalation in the increasingly bitter power struggle between President Yushchenko and Prime Minister Timoshenko. All the president’s men may be looking for is evidence in order to prosecute the Prime Minister. 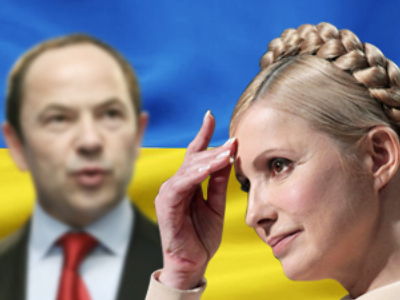 “If a criminal case would be launched against Timoshenko, according to the country's law she will have to be sacked. 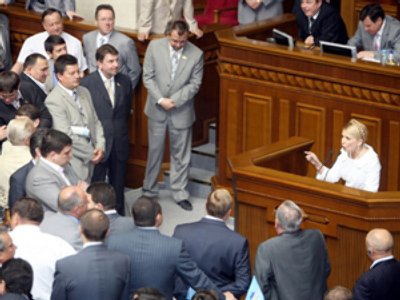 At the same time, she could strike first and initiate an impeachment against Yushchenko. It’s easier now, as he has violated a great number of Ukraine's laws,” said Vladimir Kornilov, director of the Institute of the Commonwealth on Independent States. All this doesn’t help a country in a deep economic, as well as political crisis. The International Monetary Fund has suspended the second trench of its $16 billion loan to Ukraine, saying Kiev is failing to meet its political demands for economic reform. Meanwhile on Wednesday Valentine Nalivaichenko, the head of the SBU, was questioned by the General Prosecutor’s office. There is an ongoing investigation into the raid on Naftogaz, and the SBU is suspected of breaching their authority by the operation.